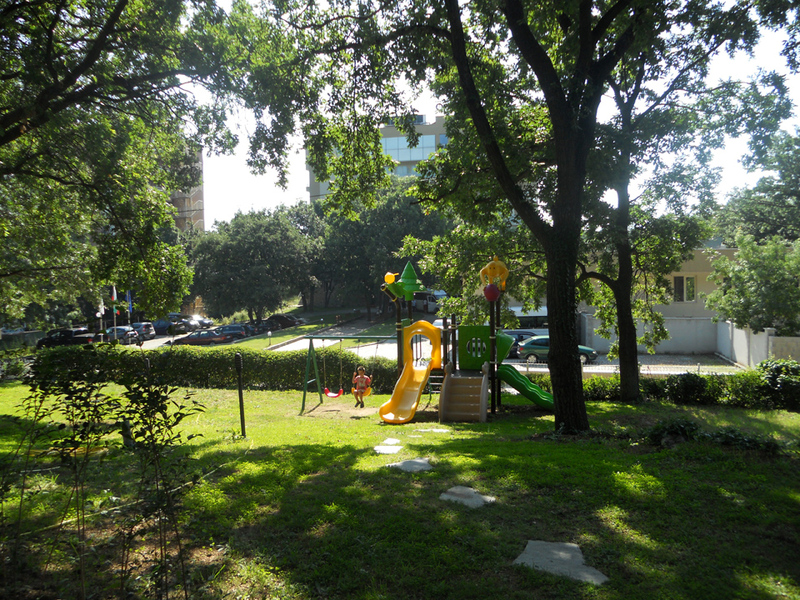 Apart from the outside playground with swings and slides, hotel “Glicinia” has a special covered children area, which has tables, chairs, toys and a PlayStation. 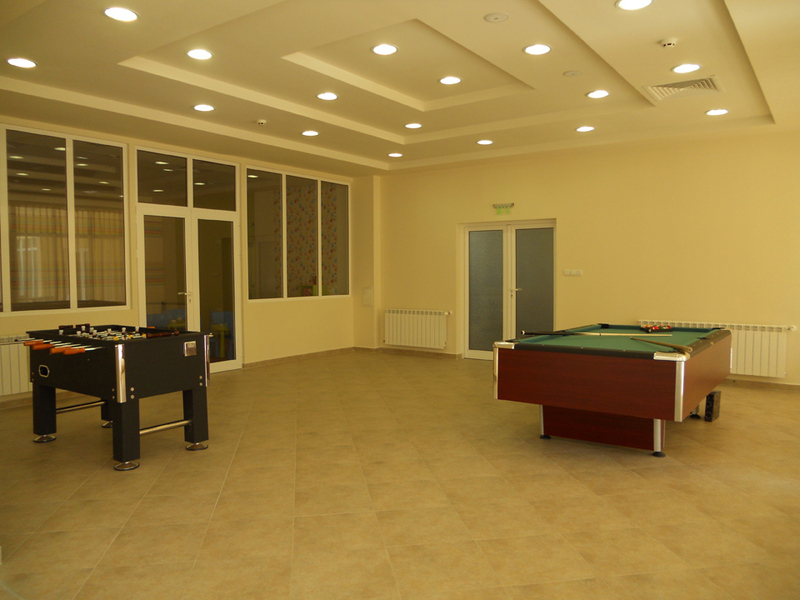 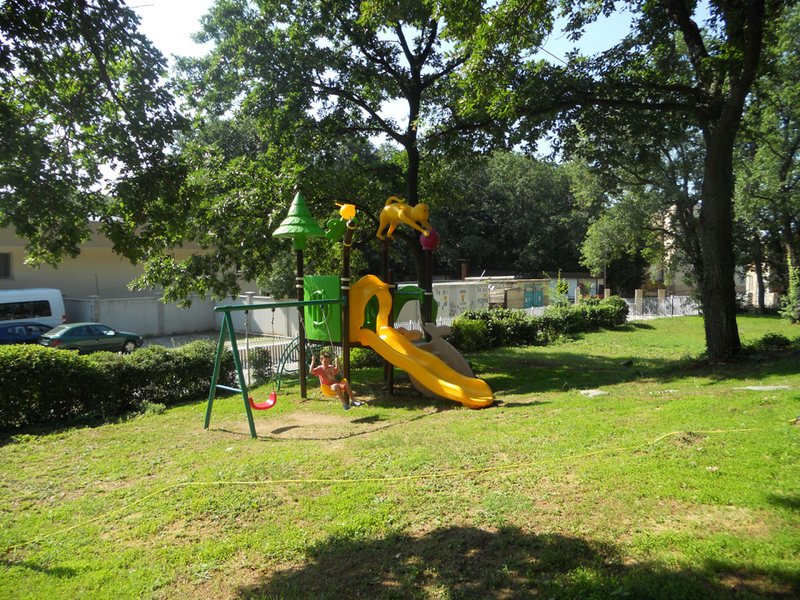 It is suitable for day-care and playroom our youngest guests. 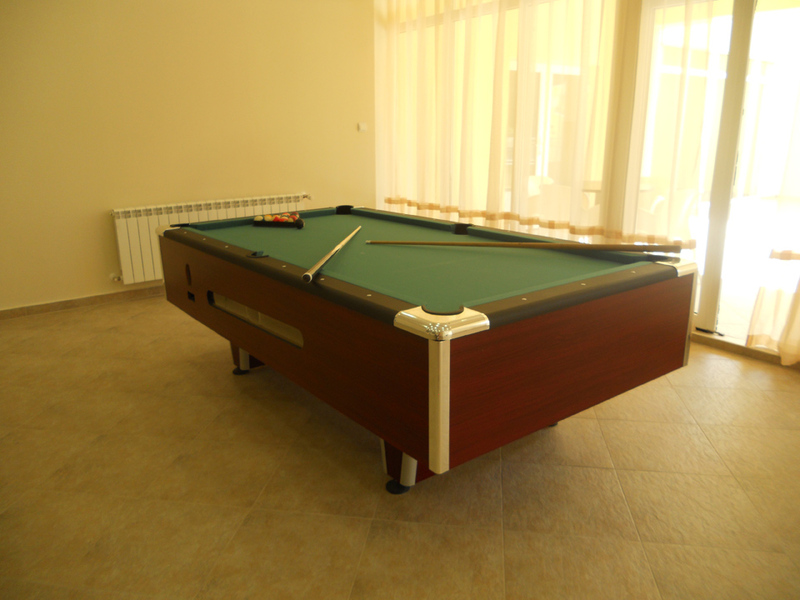 The hotel offer variety of fun games in its entertainment area, including pool table, table football, table tennis, cards, chess and also plenty of space if you just want to enjoy a nice book.